Twin Peaks fever is high ahead of the show’s return next year, so there’s no better time for Twin Peaks FAQ: All That’s Left to Know About a Place Both Wonderful and Strange. The book is a fine tribute to the show and the film, full of amazing facts, trivia, and some intriguing insights into the show’s many lingering questions. 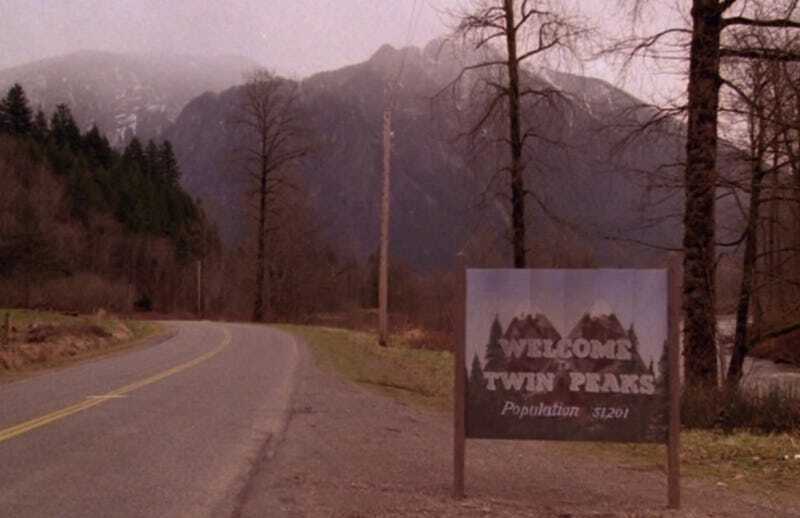 According to a Lynch-drawn map, they are White Tail Mountain and Blue Pine Mountain — though the actual peaks glimpsed in the show comprise Mount Si in North Bend, Washington, where many of the exteriors were filmed. Lynch and his Twin Peaks co-creator, Mark Frost, first intended their mystery to unfold amid the isolation of the Great Plains, but abandoned that idea after realising evergreen forests would offer a more mysterious visual backdrop than barren prairies. How have I never noticed this before? Agent Cooper’s former partner arrives in town late in Season Two, and he was modelled by Arthur Conan Doyle fan Mark Frost after Sherlock Holmes’s nemesis, Professor Moriarty. 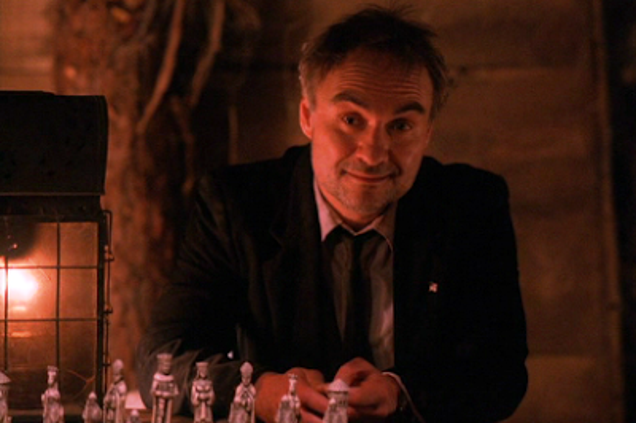 But Lynch “reportedly found the character unsubtle and uninteresting”, and rewrote a lot of the finale to replace Earle with Bob in the final clash with Cooper. It’s Song to the Siren by Tim Buckley. 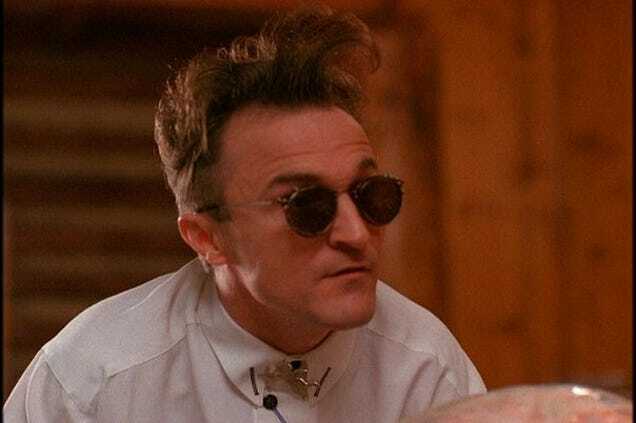 It’s mentioned by the authors because when Lynch was unable to secure the song’s use in Blue Velvet, he collaborated with composer Angelo Badalamenti on a different tune that’s sung by Julee Cruise in that film. A few years later, Badalamenti penned Twin Peaks now-iconic themes, while Cruise popped up as the ethereal bar chanteuse at the Roadhouse. Once again, we look to David Lynch, who apparently has a raging sweet tooth. 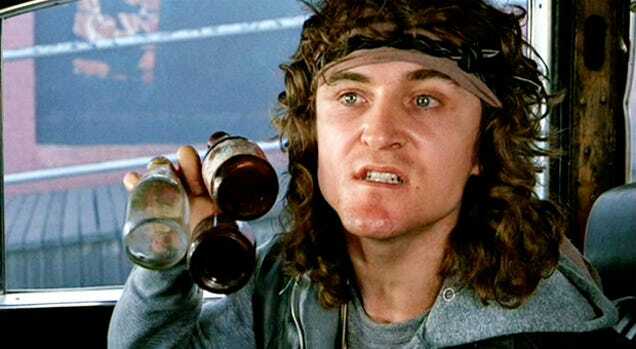 Authors Bushman and Smith also posit that the sugar and caffeine addictions enjoyed by Agent Cooper and Twin Peaks other “good” characters are just the flip side to all the coke that’s snorted up by all the “bad” ones. 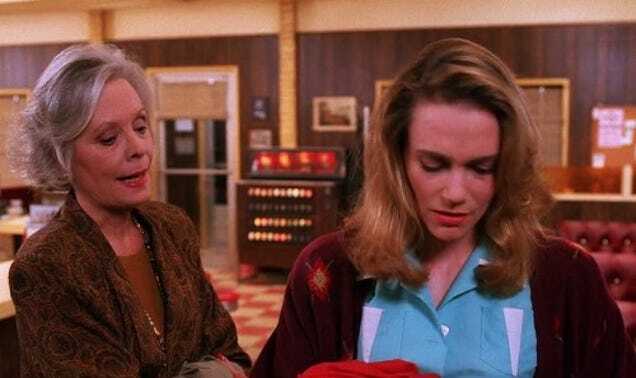 Twin Peaks FAQ delves into how films like Vertigo and Laura influenced the show, and also points out that Norma Jennings’ crabby mother, Vivian (the secret restaurant critic! ), is played by Jane Greer — star of iconic 1947 noir Out of the Past. Legendary actor Harry Dean Stanton — who’s supposed to appear in the 2017Twin Peaks revival — turns up in the Twin Peaks film as the manager of the trailer park where pre-Laura Palmer murder victim Teresa Banks once lived. He’s friendly to the FBI agents who are conducting an investigation, but there’s a brief moment where he drifts off and murmurs, “I’ve already gone places ... I just want to stay where I am”. According to a source cited in Twin Peaks FAQ, these lines came from an “impromptu on-set collaboration” between director and actor. Season two, episode 11: Laura’s Secret Diary. This episode has four scriptwriters listed: Jerry Stahl, Mark Frost, Harley Peyton, and Robert Engles. Stahl, who’d worked on ALF and Moonlighting and later chronicled his drug addiction in his memoir, Permanent Midnight, was apparently a terror to work with. Mark Frost described Stahl’s time on the show as “an absolute car wreck” but alas, doesn’t offer more dish than that. Twin Peaks FAQ: All That’s Left to Know About a Place Both Wonderful and Strange is now available on Applause Theatre and Cinema Books.